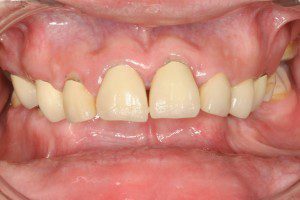 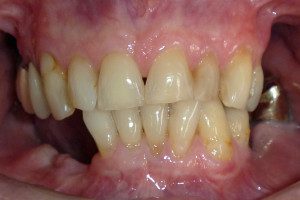 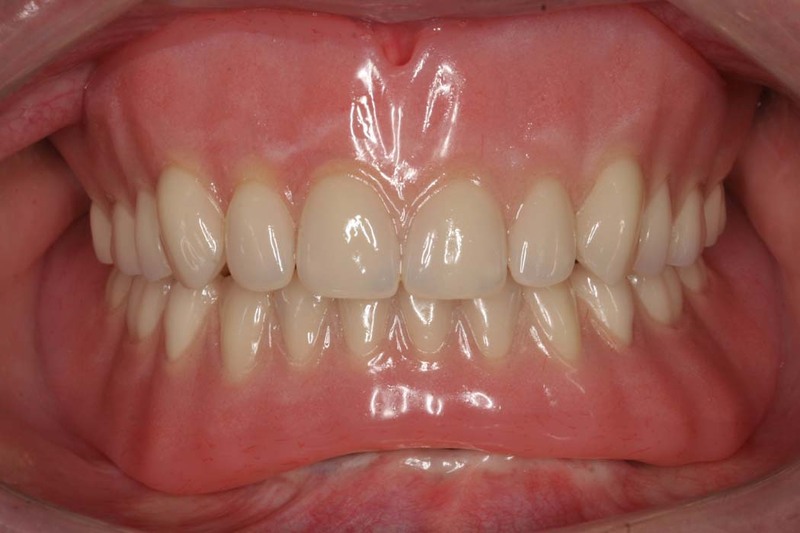 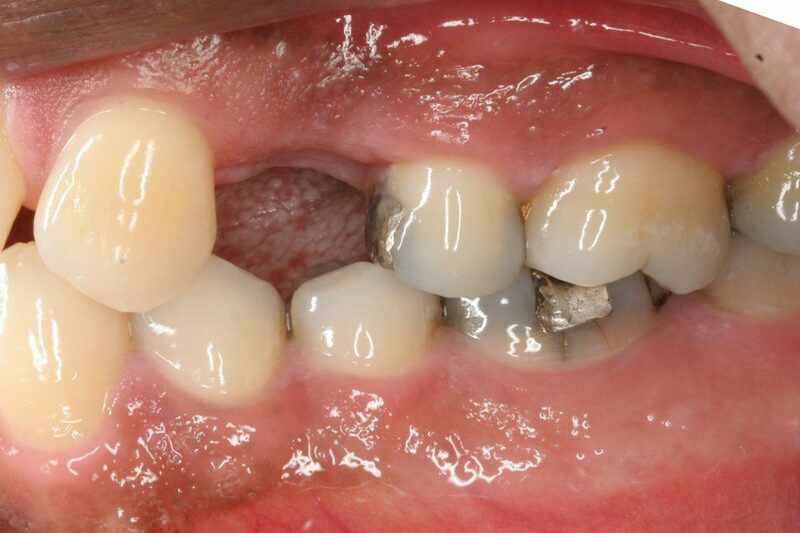 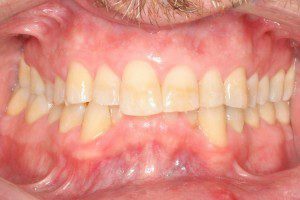 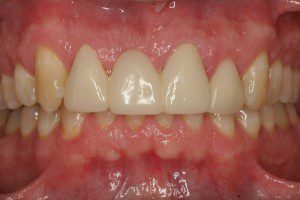 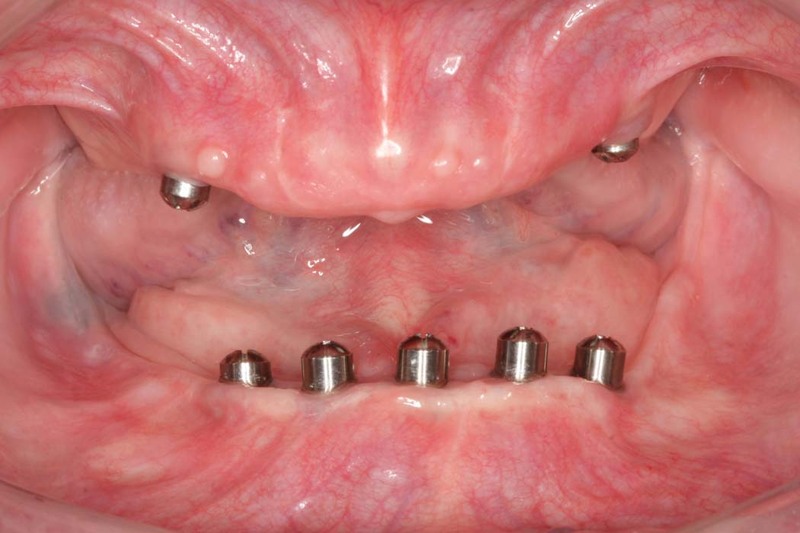 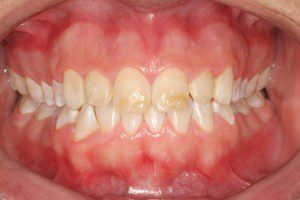 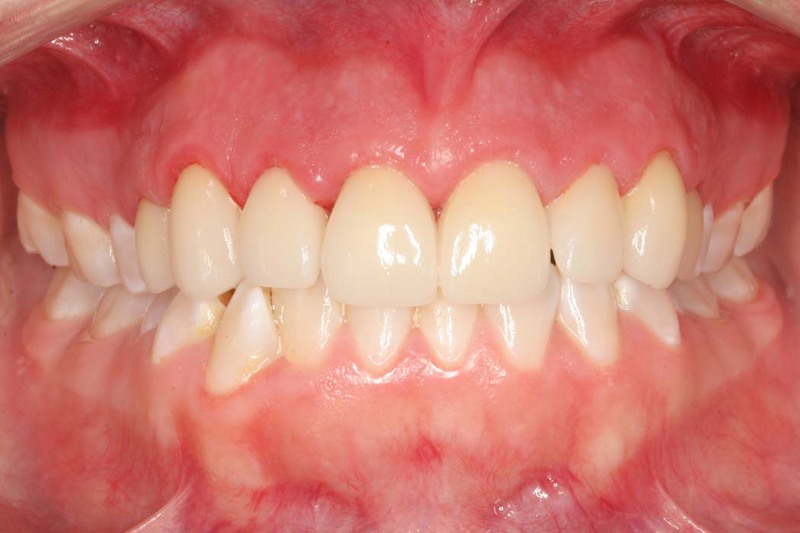 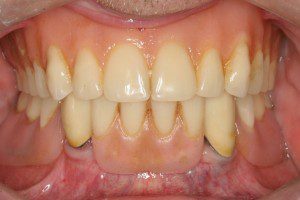 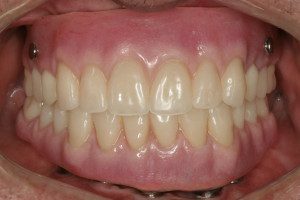 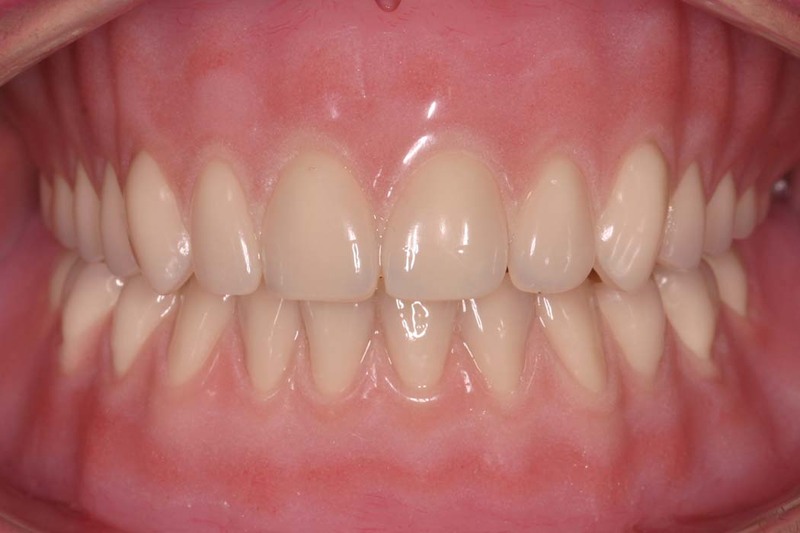 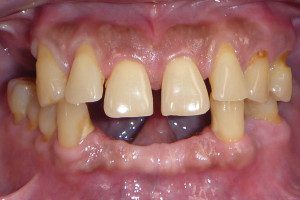 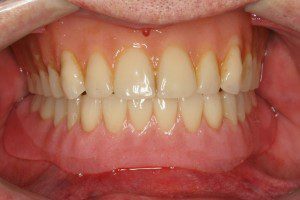 Before: Patient had severe wear and discoloration of teeth, along with perceived absence of bottom front teeth. 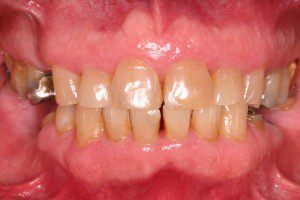 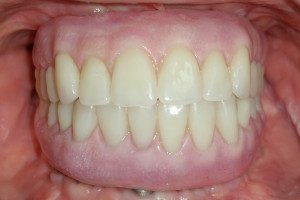 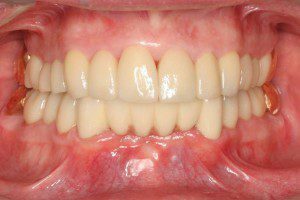 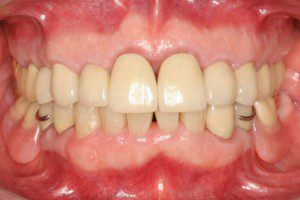 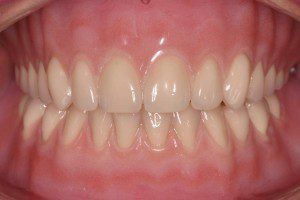 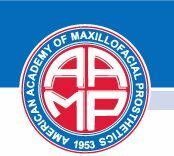 After: Full mouth rehabilitation containing crowns and bridges to restore teeth to proper form, function and esthetics. 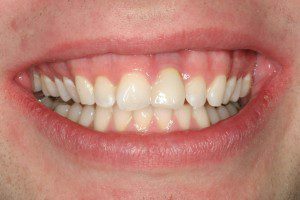 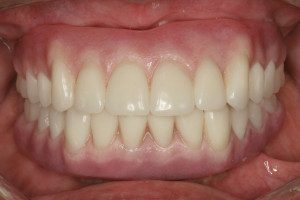 After: Crowns and a bottom partial denture to restore teeth to proper form, function and esthetics. 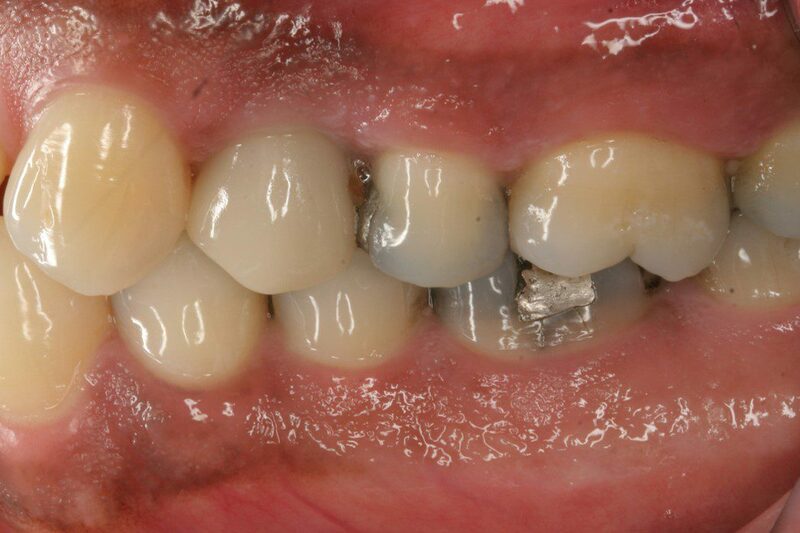 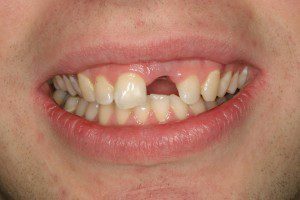 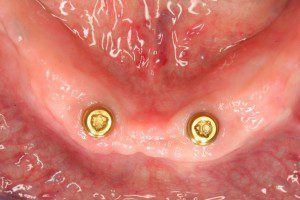 Before: Patient missing crown of upper front tooth. After: Upper front tooth replaced with dental implant and crown. 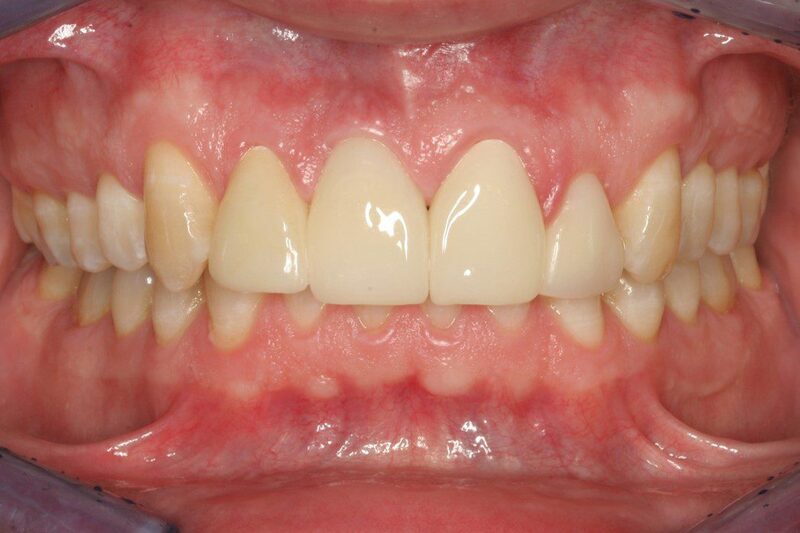 Before: Patient with upper front bridge. 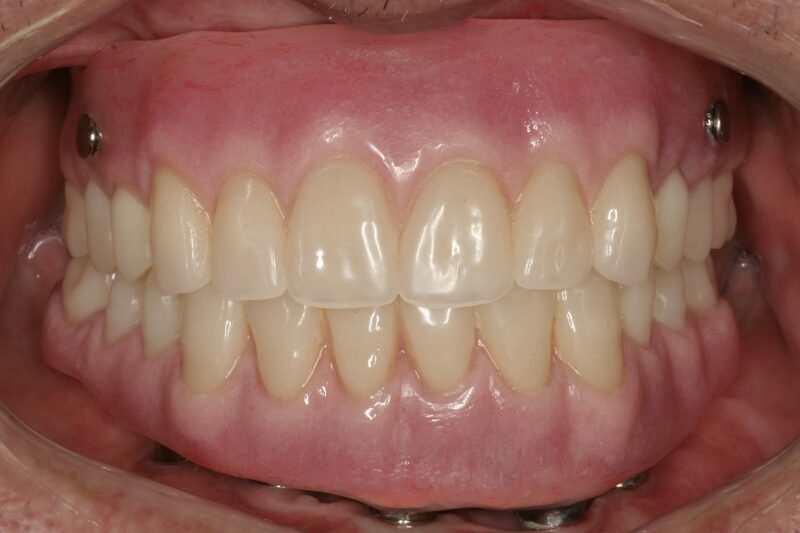 After: Upper front bridge replaced with dental implant and new crowns.